The performance relates experiences of isolation, empowerment and personal identity as Ito navigates the psychology of fear in society. Where is the fear? is the third in a trilogy of performance/installation pieces and has recently toured in Kyoto and Osaka. The series presents a specific focus on lesbian identity and the oppression of gays and lesbians in Japan. 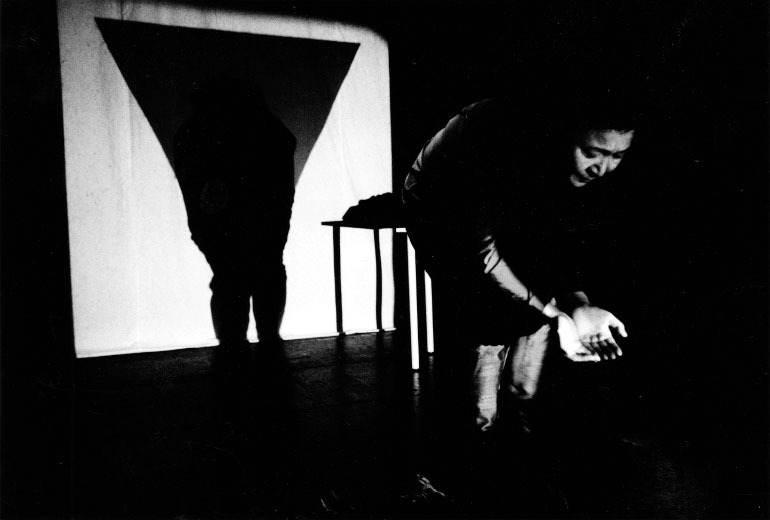 Born and educated in Tokyo, Tari Ito began to explore performance art in 1986. She has since travelled her work extensively in Asia, Europe and North America. In addition to her performance practice, Ito appears as a lecturer, workshop and action organizer. As the founder of WAN (Women’s Art Network, 1994) Ito works from a feminist perspective.